I'll start this thread to share academic articles and books that explore the (mostly cinematic) world of James Bond. 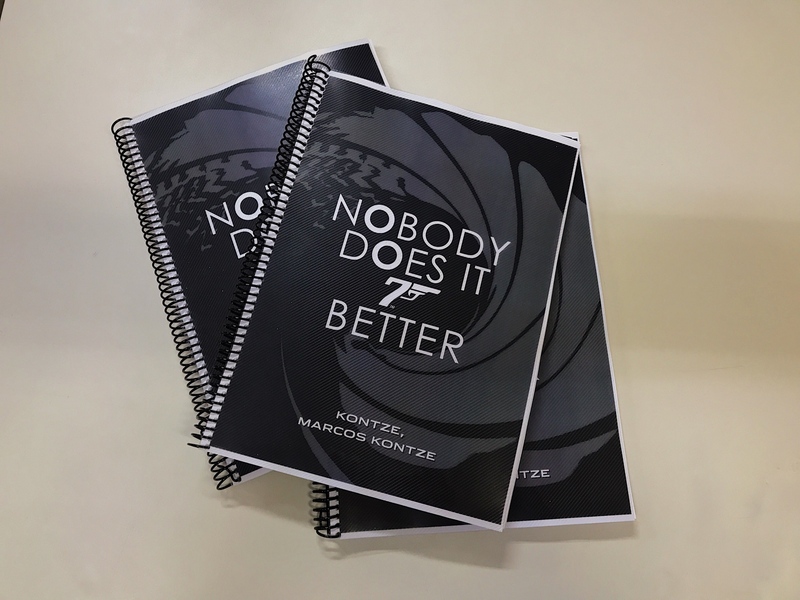 The second issue of The International Journal of James Bond Studies has been released. I think this journal is an interesting jumping off point. A little shameless plug: my own article, "The Hero with Mad Skills: James Bond and the World of Extreme Sports" has been published in this issue. So, anything yet? I like the premise. I obviously like the academic study of Bondology and try to apply it with my blog, to greater and lesser degrees of success. I let the reader be the judge of that! This is fantastic. Any snippets to share? So, can anyone submit an article? For The International Journal of James Bond Studies? It would appear so. Someone help me think of something suitably learned to write about! I have about 100 (I think) good ideas for future Bond articles for my blog or further afield. I need to get them written down on paper though, beyond the article titles/ideas and attendant notes. Bennett, Tony, and Janet Woollacott. Bond and Beyond: the Political Career of a Popular Hero. London: Macmillan, 1987. The James Bond Phenomenon: A Critical Reader, edited by Christoph Linder. 2nd ed. Manchester: Manchester University Press, 2009. For His Eyes Only: the Women of James Bond, edited by Lisa Funnell. New York: Wallflower Press, 2015. Denning, Michael. “Licensed to Look.” Ch. 4 in Cover Stories: Narrative and Ideology in the British Spy Thriller. London: Routledge and Kegan Paul, 1987. Eco, Umberto. “Narrative Structures in Fleming.” Ch. 6 in The Role of the Reader: Explorations in the Semiotics of Texts. Bloomington: Indiana University Press, 1979. The International Journal of James Bond Studies is a very welcome new publication, because it's high time that Fleming and Bond received dedicated academic attention, the sort that finds the subject worthy of analysis rather than condemnation. I also want to note that a book entirely dedicated to essays about the book and film of Diamonds Are Forever is being readied for publication. That sounds great! Could you share more information? I've contributed an essay on Tiffany Case and have just finished revising it. The collection will be published by Lexington Books, probably by the end of this year or beginning of next. Many of the essays are based on papers given at an academic conference--here's a summary of the presentations. You must let us know when it’s published, @Revelator ! I’ll put it on my Bond shelf. Seconded! It sounds like a great read from a renowned literary Bond expert. Very much looking forward to this article. Don't think much has been done on this topic. Fleming established Bond as an accomplished skier. Rog's rock climbing in FYEO, I think was consistent with what we could reasonably expect from Bond, but in the Broz era it does seem Bond picked up a lot of very specialized skills. World class surfer. Who knew? I'm not critiquing here, just observing. An analysis of Bond's mastery of extreme sports, and even his mastery of extreme military maneuvers such as the Halo jump in TND, and whatever he and Jinx were doing on the switch blade things in DAD, and what all that means = quite interesting. Edit: Broz Bond almost equals a Super Bond. "This article explores the symbiotic relationship between the James Bond films and extreme sports and argues that Bond's mastery of these sports (such as skiing, rock climbing, surfing, and BASE jumping) are a significant contributing factor to audiences' perceptions of the character as an archetypal hero and as a masculine icon. I will also explore Bond's status as a modern-day warrior and demonstrate the ways in which the Bond franchise has contributed to the culture of a number of extreme sports." mattjoes "I chose to model the disgusting Mustache Shaves on you"
That cover just makes one want to read it. Edit: It seems they give you some freedom regarding the format of the cover. Cool. That looks well impressive! Great job my friend!!! !